I love the serenity of this statue, found in the courtyard of Wat Phra Boram That in Chaiya, Thailand. 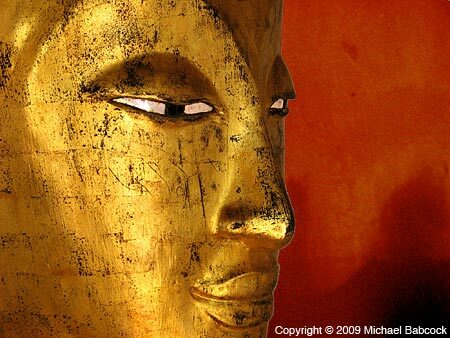 Each temple in Thailand has many Buddha images. It’s fascinating to see how some of them evoke an emotional response while others evoke nothing. There was a time when all of the statues at this temple were quite weathered and plain. Then one year, as the temple restored the various images, they transformed into gold, black and mother-of-pearl (for the eyes). At first I was very unhappy because there had been something very calming about all the statues, transformed as they were by time and the elements. Then I realized it was about the fact that everything is always changing and that if we try to grasp at something conditioned, expecting it to always remain the same, we will be unhappy, we will suffer. Now, several years later, the once-pristine and restored Buddha images are beginning to age and transform again with time and the elements. 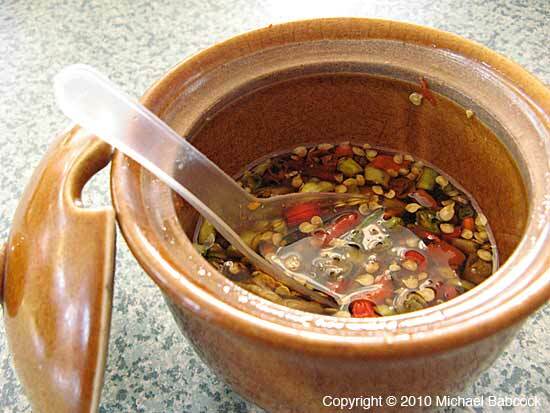 Recently while doing a google search I was surprised that no one seems to have written much about “Thai salt and pepper” or, in Thai, prik nahm pla or nahm pla prik. You might suppose that there’s not a whole lot to say. In the United States on nearly every table you find salt and pepper shakers. I remember that my grandfather (mother’s father) was addicted to salt: when a dish was served, he’d reach for the salt shaker and dash it on each dish, before tasting! Kasma describes it thus: “In fact, the Thai equivalent of salt and pepper at the dinner table is a simple mixture of Thai chiles (bird peppers) and fish sauce (3-5 chiles cut into thin rounds with seeds to 2 Tbs. fish sauce.” (In Flavoring Food with Fish Sauce.) 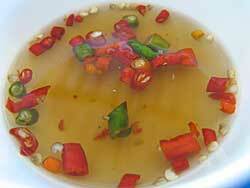 You can see from our various pictures, however, that the proportion of chilies to fish sauce varies quite widely – it’s really a matter of individual taste. Prik nahm pla is used to add both salt and spiciness to a dish. Kasma’s driver, Sun, uses it very frequently. He loves to eat simply plain rice with prik nahm pla. 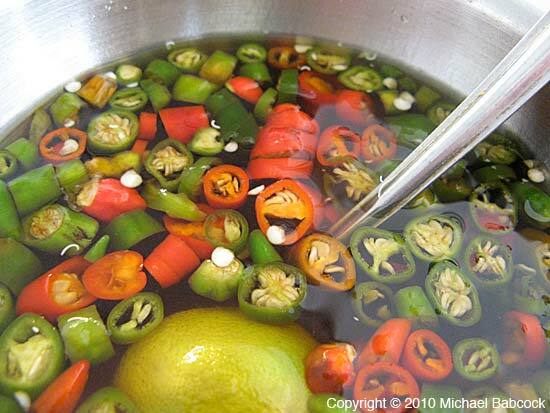 He’ll also use it often to spice up a dish that (to my taste) is already plenty spicy enough! 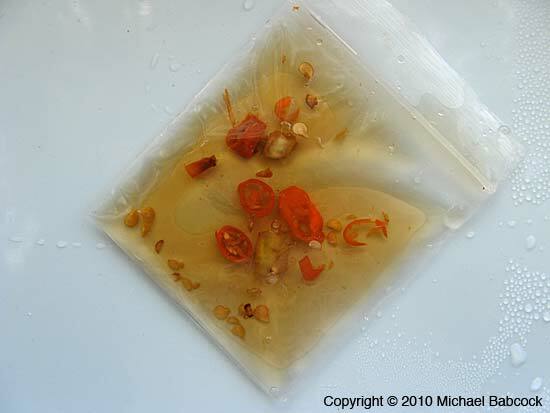 Thai salt and pepper are found on tables in most noodle shops or store-front eateries. Often in nicer restaurants they’ll also bring it to the table, sometimes in just a small sauce dish or bowl, such as you see here. 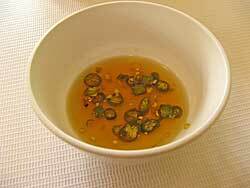 You will sometimes see fish sauce and chillies together with some other ingredient, such as lime or garlic. 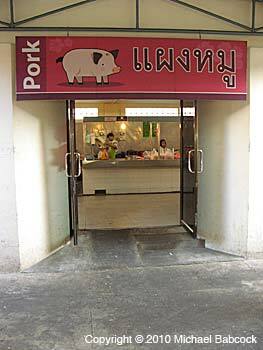 Strictly speaking it is not prik nahm pla. 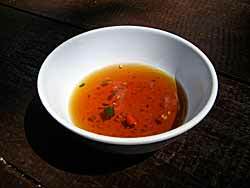 In some instances it would be a nahm jim or “dipping sauce,” usually meant to be eaten with a specific dish. There are dozens of nahm jim. 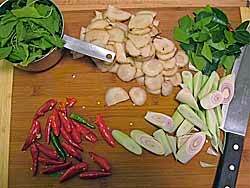 Prik nahm pla is meant to be put into just about anything to add salt or spice/hot only. Once you add something else, such as a lime, you add a different component (in this case sour) and you can no longer use it on certain dishes; in the case of adding lime, you would no longer be able to use it on certain dishes (such as green curry), which does not call for a sour component. 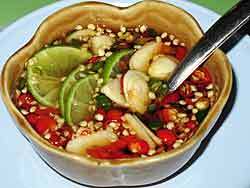 And garlic can overpower many flavors (such as the roasted spices in Massaman curry). Update – March 2011: When writing this blog entry I had a email conversation with Leela, who writes the blog She Simmers (well worth a frequent visit). 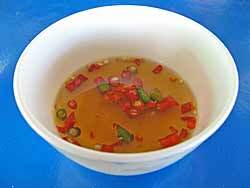 Kasma has always preferred to refer only to the mixture of Thai chilies and fish sauce as prik nahm pla. 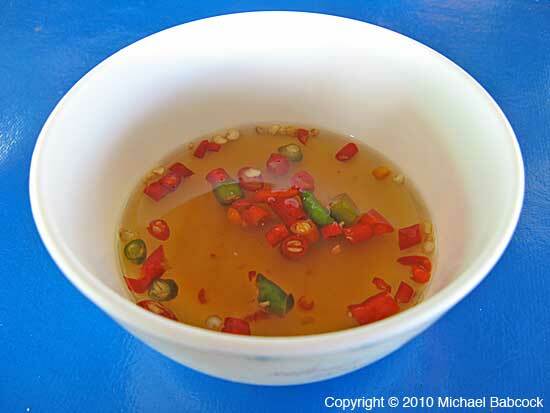 Leela writes, in the entry Nam Pla Prik – The Ubiquitous Thai Table Sauce, that it can refer to mixtures that also have other things added, such as garlic or lime. This past February when Kasma requested prik nahm pla at a restaurant on Poda island in Krabi, the mixture they brought was that pictured to the right: chillies, fish sauce, garlic and lime. 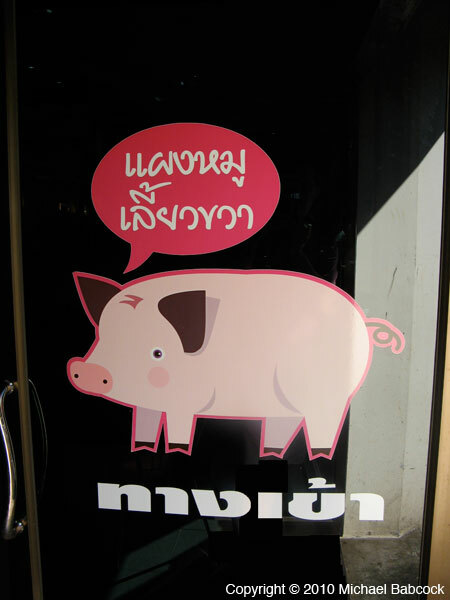 It would appear that many Thais have a wider definition of prik nahm pla! In looking over nearly a year’s worth of Wednesday photos, I was appalled to see that I didn’t have a single one that celebrated Thailand’s beautiful, white sand beaches. 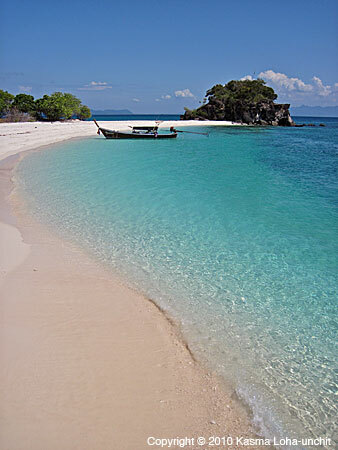 The beauty of the seacoast is something that startled me on my very first trip to Thailand. Now every year I look forward to our time on the coast and in the water. Kasma took this picture at Koh Kai in Koh Tarutao, Tarutao National Park. It shows a longtail boat, the preferred mode of transportation for most people on the ocean waters of the south of Thailand. 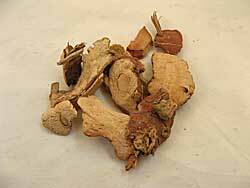 Galanga root, in the ginger family, is one of the essential ingredients in Thai cooking. Last to awaken from winter’s slumber, the tropical plants in my garden are putting forth vigorous new growth. Shiny new leaves are unfolding from my precious kaffir lime tree and pink new shoots are joyously swelling into thick stems on my tender galanga plant. I purchased the galanga ginger from a Southeast Asian market several years ago and planted it in a container in hopes of having a continual supply of roots for my Thai dishes. The single stem grew into a lovely plant so lush and beautiful I had no heart to harvest any of its pungent roots. The white orchidlike flowers, emerging a few at a time from fat buds over a long period in late summer, enchanted me with their sweet fragrance, so the plant stayed untouched in the redwood tub, quickly filling it in a few warm summers. Then came the devastating freeze of the previous winter. When no signs of life showed by late spring last year, I sadly pulled apart the wooden planks of the planter that the energetic roots had pushed through the summer before. Toward the bottom of the planter, I was surprised to find a few pink shoots, which I happily rescued and replanted –- this time directly into the garden where the rhizomes can be more easily protected from unexpected freezes in future winters. I nursed the young shoots in their new location and by late summer, they had grown into healthy plants. Because the ground gives the vigorous rhizomes unrestricted room for growth, I decided that I could now harvest without guilt a few tender shoots from time to time for my cooking as a means of keeping the plants in check. Besides, harvesting the dense rhizomes is now easier without the obstruction of a planter’s rim. Galanga is a robustly pungent member of the ginger family that is also known as galangal, laos root, and greater galanga (not to be confused with lesser galanga, a very different ginger relative). 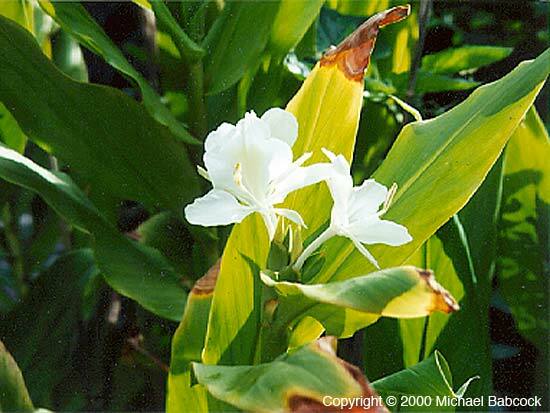 Because it is the primary ginger used in Thai cooking, this shiny, cream-colored rhizome is sometimes referred to as Siamese or Thai ginger. 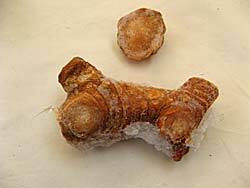 Galanga is also preferred to common ginger in many Indonesian dishes and is widely used throughout Southeast Asia. Denser, firmer and even more knobby than common ginger, galanga is also rounder, marked with concentric rings every half an inch apart and has no skin to be peeled. 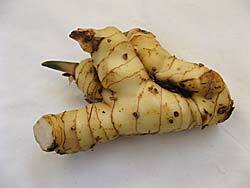 Its growing tips are tinged pink, much like young ginger, but it tastes nothing like common ginger. Its hotter and sharper bite combines with a tangy spicy flavor which, to some people, is reminiscent of hot mustard. To others, it tastes medicinal and indeed it is. Southeast Asians make an infusion with the roots to alleviate symptoms of gastric disorder, and when spicy foods were in vogue in Europe prior to the eighteenth century, this tropical rhizome, known there as galingale, had the reputation as an aphrodisiac and as a magical root to ward off evil. Most people in the Bay Area know galanga more as the brown, woody, barklike pieces they sometimes find in hot-and-sour prawn soup served in Thai restaurants, but back in the mother country, it is thin slices of the fresh, cream-colored rhizomes that refreshingly flavors the soup. In another favorite Thai soup, galanga is the main herbal flavoring, its strong, pungent taste coming through the creamy richness of coconut milk. Try the seafood coconut soup recipe, which is also wonderful with a combination of fresh seafood, such as shrimp, mussels, squid, crab chunks, scallops, and firm-flesh fish for a Thai-style bouillabaisse. For a richer soup, use one part water to one part canned coconut milk, rather than the two to one dilution in the recipe. Besides soups, galanga’s pungent spiciness makes it a valuable herb for freshening the taste of seafood in spicy seafood salads. Slice the fresh root as thinly as possible, then stack several slices at a time and cut into very fine slivers before tossing with cooked seafood and a limy chilli dressing. 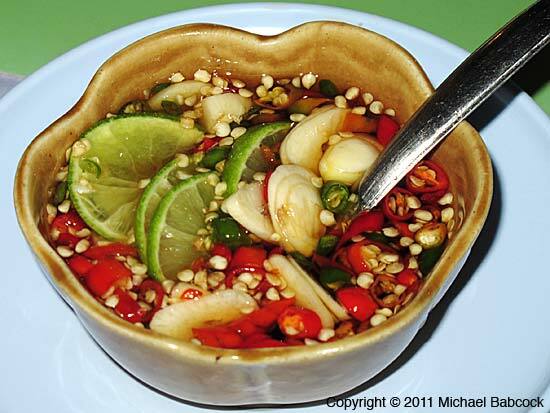 Galanga is also an essential ingredient in most Thai curries and is chopped and pounded to a paste with other herbs and spices. When buying galanga, select a young rhizome that is as light in color as possible with pinkish shoots and few or no brown spots. Avoid large, fat roots, as these can be very hard and woody, making it almost impossible to cut. 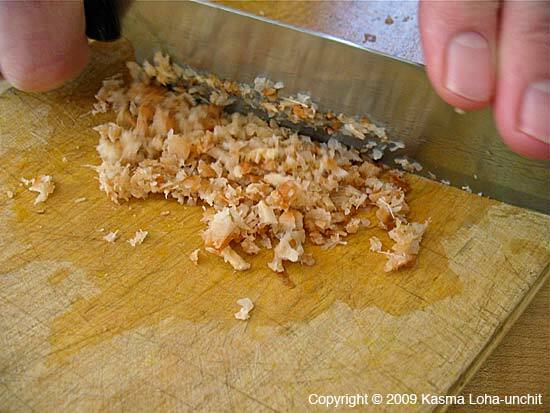 Sometimes a piece you get will be tender at the tips and woody further down; save the tender end for salads and use the more fibrous section for soups. 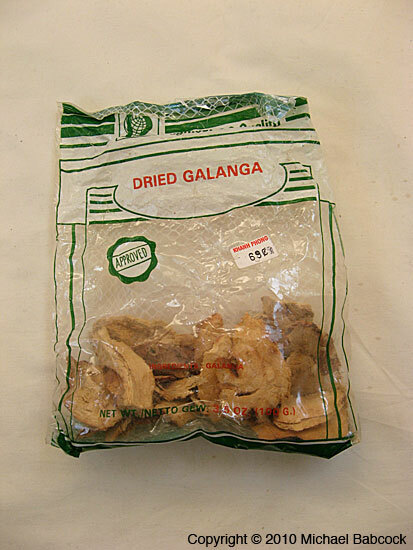 Store fresh galanga wrapped with a paper towel inside a plastic bag in the refrigerator; the paper towel absorbs moisture, keeping the surface of the rhizome dry to discourage mold growth. It will keep for two to three weeks. 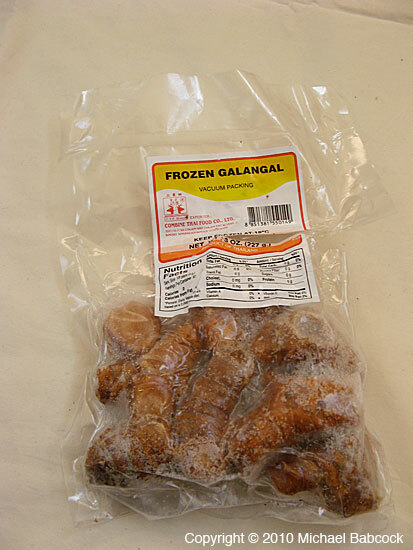 If you are not able to find fresh galanga, frozen roots imported from Thailand are available in most Southeast Asian markets. These roots may have an orangish brown color, because they are a slightly different variety, but they are the next best thing to fresh. 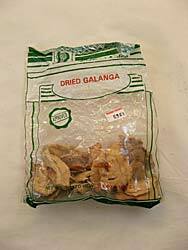 Galanga is also sold in large slices packed in brine in glass jars; rinse before use. (Beware of jars confusingly labeled “galanga” or “galingale,” which actually contain the slender, finger-shaped “lesser galanga.”) It is most commonly available in dried woody pieces in plastic bags. 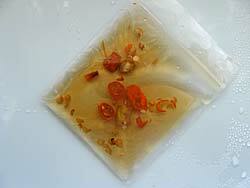 The dried form is acceptable for soups, but lacks the fresh flavor required for seafood salads. If you love to garden, root a piece with unblemished pink shoot in loamy garden soil. It grows very vigorously once established and will reward you with a continual supply of fresh galanga root whenever you need it for your cooking, as well as a lovely, four-foot, ornamental garden plant with lush tropical leaves and charming fragrant blossoms. Written by Kasma Loha-unchit, April 2010. 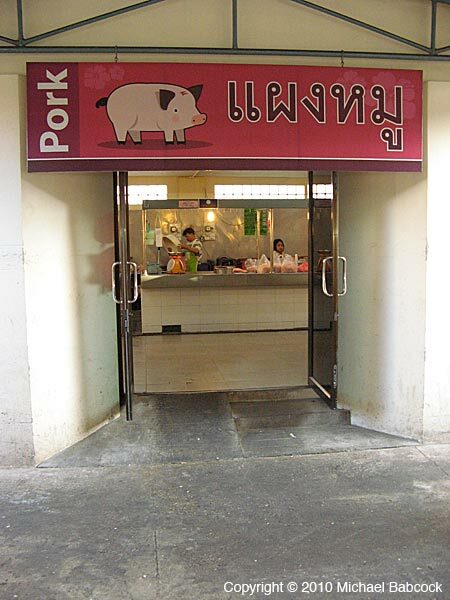 Krabi Morning Market both pork and beef are sold in a separate building (from the produce, seafood and prepared foods) with these signs to make sure you know which area you are walking into. 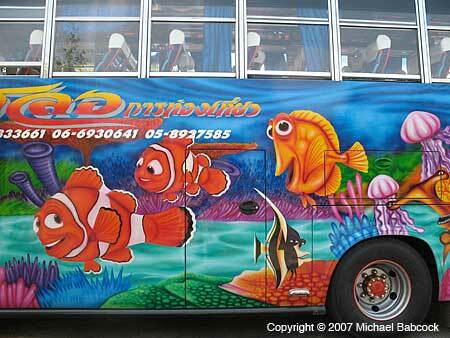 Thailand is a colorful country, in more ways than one! Many of the tour busses are painted in quite exotic and wild fashion, such as this one seen in a parking lots at Khao Sok National Park. You are currently browsing the Thai Food and Travel Blog blog archives for April, 2010.